Observations: Does stopping corporate inversions require a stick, or a carrot? Does stopping corporate inversions require a stick, or a carrot? The Obama administration and Democrats in Congress have recently focused on corporate “inversion” as something needing quick attention. 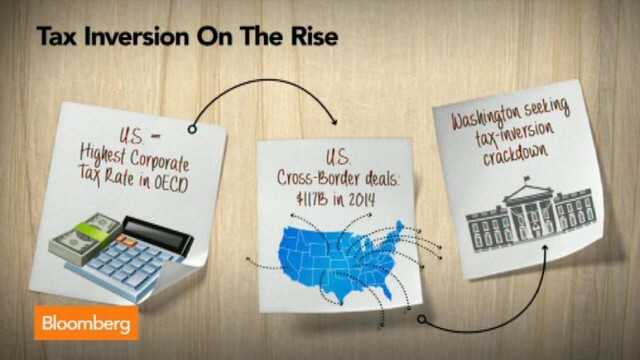 In an inversion, a US company starts or buys into another company in a country with a lower corporate tax rate and then calls the new country home, enabling it to avoid some taxes in the US. Although US companies still pay the same rates on US income, the lower rates apply to income earned abroad. The issue has both practical and political importance, highlighting the lower amount of corporate taxes collected, and also providing politicians who may be or become candidates for office a populist issue to exploit, like Sen. Elizabeth Warren, D-Mass., considered a potential presidential candidate. Leaders of both political parties on the Senate Finance Committee – chairman Ron Wyden, D-Ore., and Sen. Orrin Hatch, R-Utah – agree that the tax code needs major reform, however, the two parties have different approaches on exactly how to accomplish that goal. Peter Merrill, a director at PricewaterhouseCoopers, testified before the Finance Committee and discussed how US corporate taxation rules compare to those of other countries. He named two areas of the US tax system that “fall far outside international norms: the high corporate rate, and the worldwide system of taxation,” both of which he said make it more difficult for US companies to compete in global markets. Citing increasing competition from other nations, he said in the last 15 years the number of US companies on the Forbes Global Top 500 list has dropped by a third, from 200 to 135, and noted that the US corporate tax system contributes to this decrease. The US corporate tax rate is the highest among major economies, Dr. Merrill said, more than 14 points above the average for the other Organization for Economic Co-operation and Development countries, and nearly 10 points higher than the average for the other G7 countries. And he noted that while other countries have substantially lowered their tax rates since 1986, the US raised its rate to 35 percent in 1993. President Barack Obama wants Congress to enact corrective legislation that is retroactive to May, arguing that the proposal will stop companies from rushing into deals to avoid lower taxes. And he accuses these corporations of being economically unpatriotic. Other prominent Democrats echoed that sentiment. Rep. Chris Van Hollen, D-Md., quoted in The Wall Street Journal, characterized these companies as "deserting the U.S. in order to dodge their obligations to the country and American taxpayers." Senate Finance chairman Wyden wants to make it harder for U.S. companies to move their headquarters abroad, and commented, "… corporations must understand that they won't profit from abandoning the US." Secretary Lew joined that view, calling for a "new sense of economic patriotism." Attacking companies as “unpatriotic” because the US tax system is punitive and encourages them to move overseas to lower costs is both hypocritical and dumb. They are legally operating within the complex and confounding framework government provides for them, and are trying to maintain profitability in an increasingly competitive global market. Democrats want action taken now to limit inversions, but there are sound arguments that this will make things worse. Putting duct tape on the tax code instead of rewriting it and making it comprehensible and sensible is why things are such a mess. Comprehensive tax reform is the best solution. It’s not for nothing that the Democrat Party has been tagged “the tax and spend party.” They go happily along championing high taxes to fund politically popular programs without any apparent clue that their policies frequently do more harm than good. “Comprehensive tax reform would reduce deductions and lower tax rates for everyone," said Michael Steel, spokesman for House Speaker John Boehner, R-Ohio. The way to encourage businesses to stay in the US and expand, or relocate to the US is to make it desirable for them to do so, and have a tax code that says “we want you here.” That means slashing tax rates to competitive world levels, stop taxing foreign income and eliminating some deductions. Businesses provide goods and services that people want and need. They also provide jobs that enable people to afford things they want and need, and they pay taxes that support governments at all levels. Business is the goose that lays the golden egg. Democrats need to understand that instead of beating the goose, they need to nourish it.